This entry was posted in Structures and Scenery and tagged 285th, Boards, Bombed, Building, Europe, Rubble by Allen. Bookmark the permalink. Oh lord. That city has certainly seen some better days. You know I just realized that your buildings could easily cater to the Dropzone Commander crowd. It’s a 10mm sci-fi game that pretty much MUST take place in dense cities. I’m not in that scene anymore but I’m sure some of them will remember me. I might stop by their forums and point your products out to them. 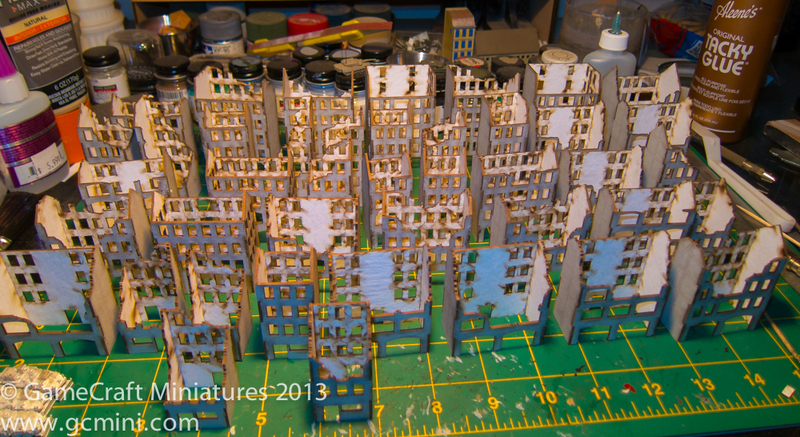 Ben, there are actually some pretty cool 10mm buildings on the site designed for Dropzone Commander.